for sale that interest you most and work diligently on your behalf to get you the best possible price on the motor yacht for sale or sailing yacht for sale that you settle on. You do not need to be an expert in all of the yachts for sale around the world, but your yacht broker does and our expertise is at your service-at no cost to you! 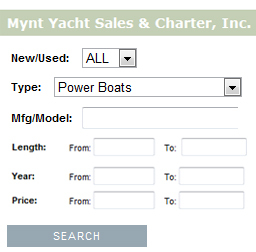 © Copyright 2011 MyntYachts.com. All Rights Reserved.